Advanced technology, Ultimate Performance winch, with steel rope and a 10,000 lb. pulling capacity. Getting unstuck just went high tech. 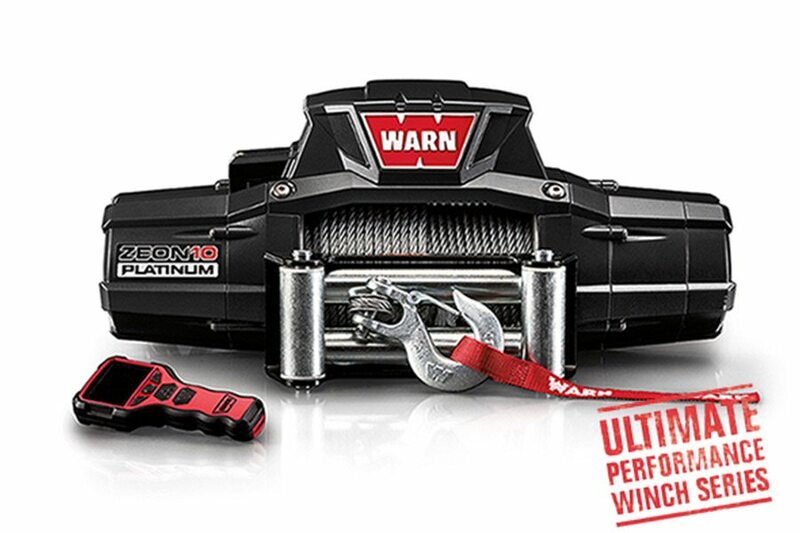 Meet the WARN ZEON 10 Platinum–the most technically advanced winch ever conceived. The manual clutch has been eliminated. An Advanced Wireless Remote controls not only the winch, but also the clutch and other accessories. Durability and waterproofing sets a new benchmark for its class. Add in a high-performance motor package, and you have a game changing winch for trucks, Jeeps, and SUV’s.